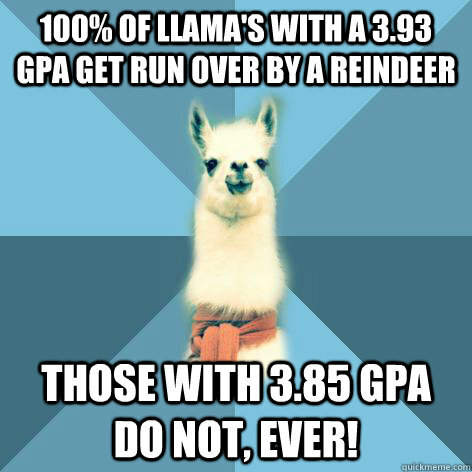 100% of Llama's with a 3.93 GPA get run over by a Reindeer those with 3.85 GPA do not, ever! 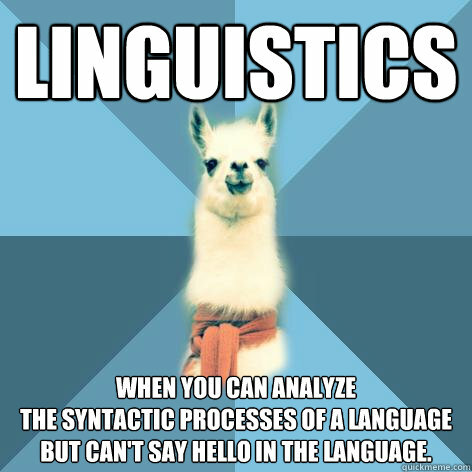 Linguistics When you can analyze the syntactic processes of a language but can't say hello in the language. 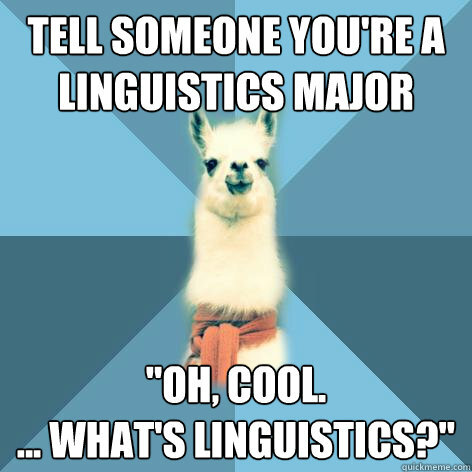 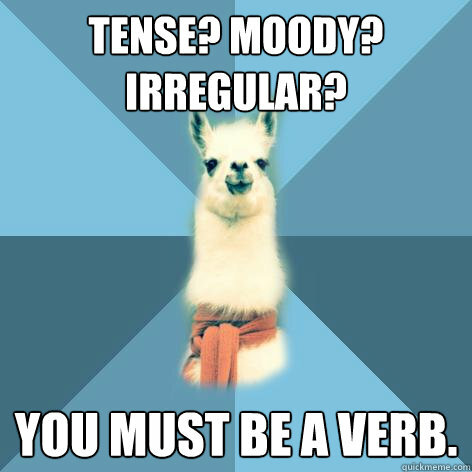 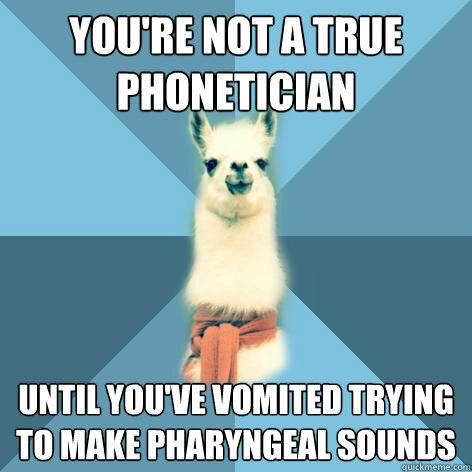 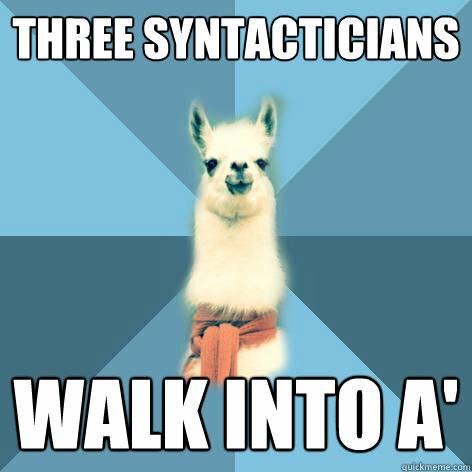 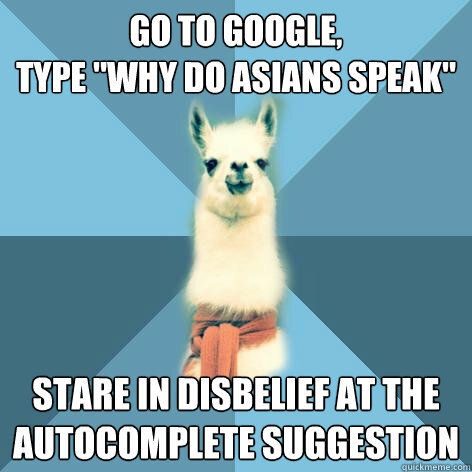 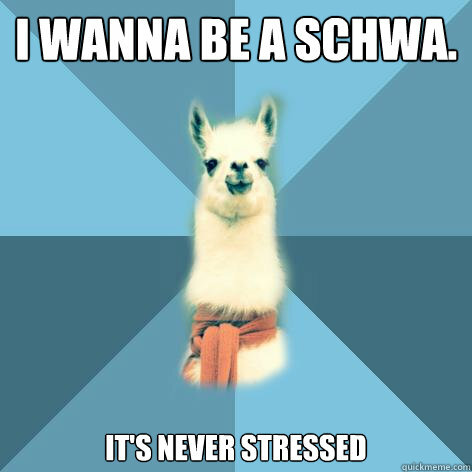 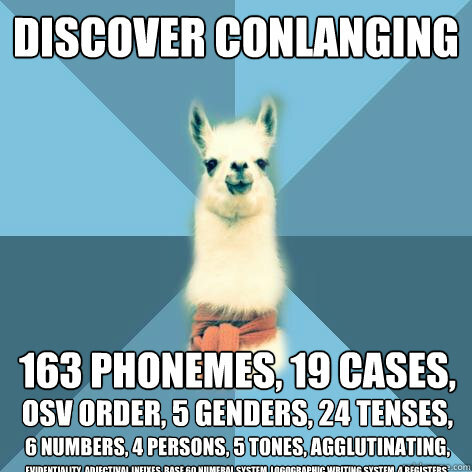 Tell someone you're a linguistics major "oh, cool. 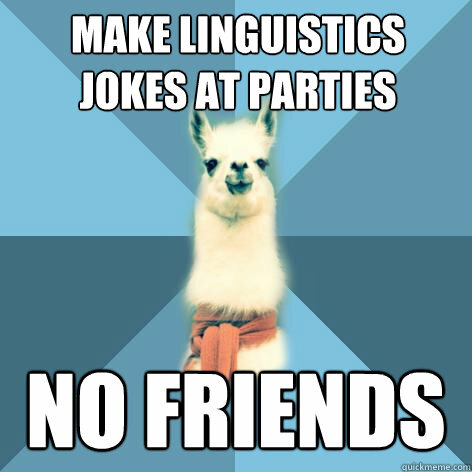 ... what's linguistics?" 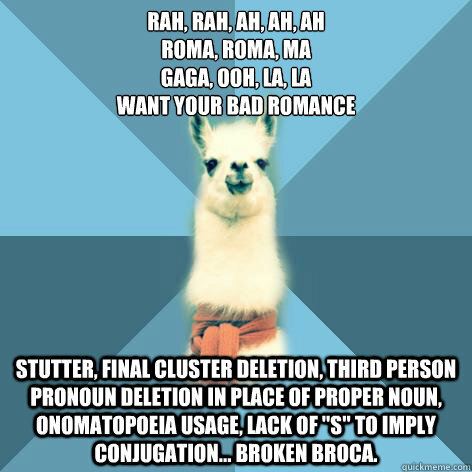 Rah, rah, ah, ah, ah Roma, roma, ma Gaga, ooh, la, la Want your bad romance Stutter, final cluster deletion, third person pronoun deletion in place of proper noun, onomatopoeia usage, lack of "s" to imply conjugation... broken broca.